Advertisers and brand owners are using Facebook ads to connect with their audience and as they churn out adverts, they spend more advertising dollars. Out of the many visitors that Facebook receive everyday, it really helps when you take advantage of some of the best strategies to help you convert more and boost the bottom line of your business. 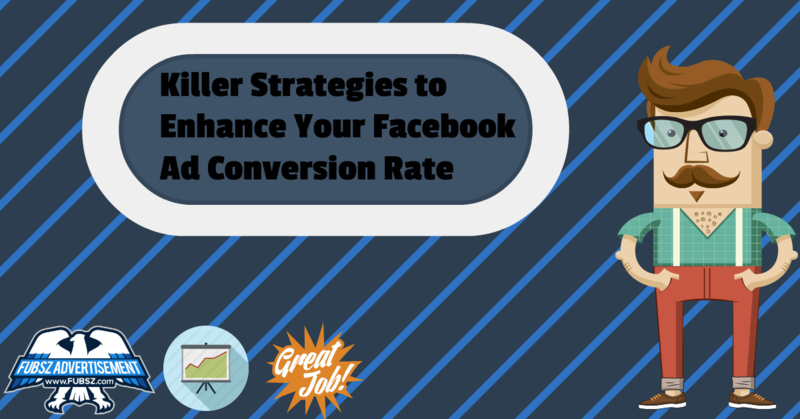 Here are vital tactics that can help you improve your Facebook ad conversion rate. It isn’t a secret that Facebook collects massive amounts of user data such as demographic information, interactions, likes as well as shares. This information is available to advertisers via the Facebook’s targeting feature. However, how effective this is depends on the amount of information that you have about your customer base. This means that you have to do your homework well ahead of time and find out what traits the people you want to target have. You should combine both basic and advanced targeting strategies to look for whatever suits you the most. Learn about the generation, age and the buying behavior of the people you want to target. After you have clear information, you will know how to target your effort moving forward and improve your ad conversion rates. Ads that appear in news feed tend to deliver a rate of conversion that’s five times higher than when you have them posted on the side bar. However, Facebook recently enlarged the dimensions of the sidebar therefore increasing the size of the ads and this is known to make them eye catching. Advertisers also find it expensive to runs news feed ads. Even when you want to drive up your rate of ad conversion, you should choose an option that guarantees a better ROI. Advertisers who want to achieve better returns may have to consider positioning their ads on the side of the pages because they will have a constant presence which translates to better visibility. There are certain times when ad conversion rates are at the peak. For instance, there are key times during the day when targeted customers are very active online and most likely shopping. This makes it critical to ensure that your ads are run at a time when most of the demographic groups that you are targeting are available online. Luckily, there is a way that you can schedule your ads to run during certain times of the day, mostly during peak hours. This is an assurance that you will be able to boost your Facebook ad conversion rate. However, it’s essential to know that it takes quite some time before you know about your customer’s peak times. You can add a strong persuasive message to the call to action button and encourage your visitors to take certain desirable actions. A powerful statement helps to guide the customer into what to do next and this is most likely to drive Facebook ad conversion rate upwards by a considerable margin.